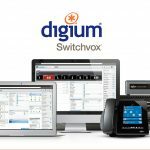 Digium, Inc., the Asterisk Company, today announced the availability of the Digium Switchvox Support Engineer (dSSE), a new certification within its award-winning partner program. 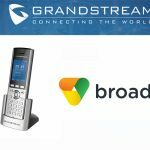 This new curriculum focuses on advanced troubleshooting and configuration setup for Switchvox, Digium’s advanced business phone system and unified communications (UC) solution. In addition to on-demand videos and tutorials, this certification is another valuable addition to Digium’s partner program, equipping partners with the ability to build their managed service offerings. This training will be available for free to all Digium Select and Registered partners. The dSSE is an advanced troubleshooting course designed to educate partners on the correct methodology and best practices for configuring Switchvox for successful installations. Partners achieving dSSE certification will be able to provide their own enhanced on-site support, allowing for improved customer installation service time and support. 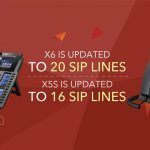 As part of the certification process, partners will learn how to best install Switchvox in a local area network; provide security for their Switchvox VoIP network; identify Session Initiation Protocol (SIP) details and troubleshoot a SIP call flow; and learn best practices for troubleshooting Switchvox. As part of our rapidly expanding partner program, we want to ensure that our top-level partners have access to the tools and expertise they need to quickly and effectively support their SMB customers,” said Jim Butler, director of global channel sales for Digium. 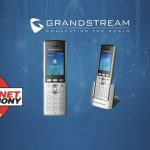 “The new dSSE certification allows partners to extend their service capabilities for our Switchvox Unified Communications solutions and increases the technical expertise of our partner base. We are excited to introduce this new, advanced training as another one of the benefits available to our partners. In addition to the introduction of the dSSE certification, the popular Digium Certified Switchvox Professional (dCSP) and Digium Certified Switchvox Engineer (dCSE) courses have been updated and are now available to partners. These certifications include how to sell, configure and design Switchvox solutions and how to configure Digium’s IP phones. The Digium VoIP phone range includes the Digium D40 IP Phone, Digium D50 IP Phone and Digium D70 IP Phone. 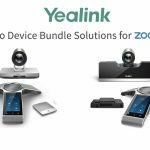 Yealink Excels at “Mobile World Congress” Convention with the new Yealink T42G & Yealink T46G IP Phones.